Destiny GamePack is now available! 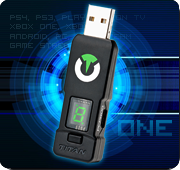 Destiny GamePack is now available in Gtuner PRO for Titan One owners! Use Rapid Fire, Burst Fire, Anti Recoil, EZ Sprint, Turbo Melee, Bunny Hop and more!